Buddhism is a philosophy based on the teachings of Siddhartha Gautama, widely known as the Buddha. It derives its name from ‘bodhi’, to ‘awaken’. The Buddha lived in the eastern part of the Indian sub-continent about 2,500 years ago. He was born into a royal family, but realised that luxury and wealth were no guarantee of happiness. After six years of study and meditation he became ‘awakened’ or ‘enlightened’, and found what he believed to be the key to human happiness – ‘the middle way’; a path of moderation between the extremes of self-denial and self-indulgence. Buddhism is considered by many to be more of a philosophy or ‘way of life’ than a religion, as the Buddha did not claim to be divine and Buddhism does not involve the concept of God. Instead it asks that we look to our own inner wisdom for guidance. ‘Wisdom’ in Buddhism is about experiencing a deeper truth and reality (through various different meditative activities, including mindfulness) rather than simply relying on belief or an intellectual interpretation of the world around us. After becoming awakened, the Buddha spent the rest of his life teaching the principles known as the Dharma. 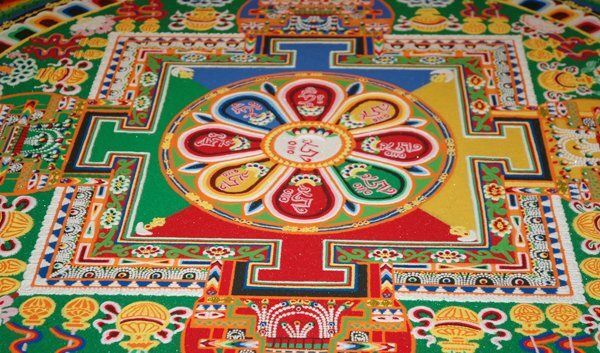 The basic tenets of Buddhist teaching are straightforward and practical: nothing is fixed or permanent; actions have consequences; life has difficulties and it is possible to overcome them. 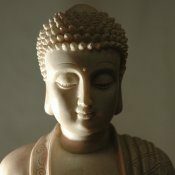 So Buddhism addresses itself to all people irrespective of race, nationality, socio-economic status, sexuality or gender. It teaches practical methods which enable people to transform their experience and to be fully responsible for their lives. Central to these teachings is the concept that suffering or ‘unsatisfactoriness’ is an inevitable part of the human condition, and that it can be overcome by developing compassion, wisdom and mindfulness – regular meditation and self-reflection helps this process of directed transformation.